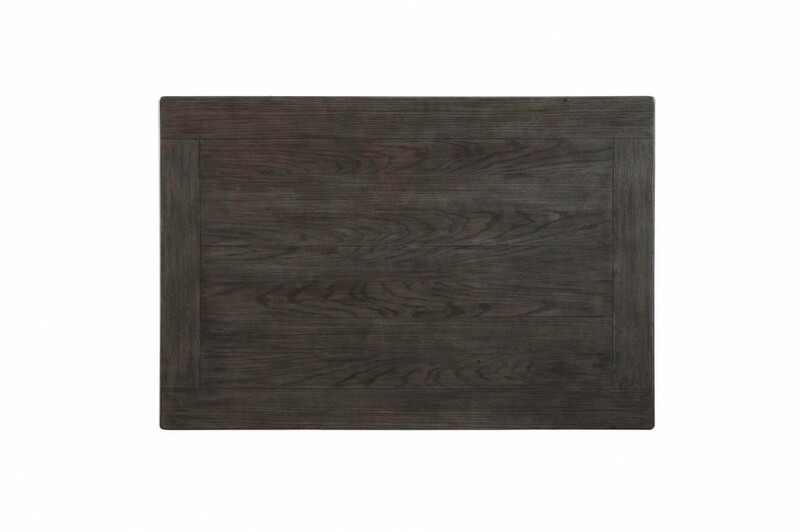 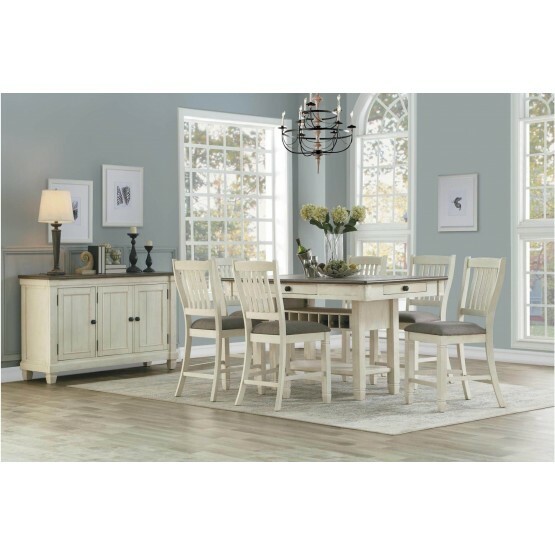 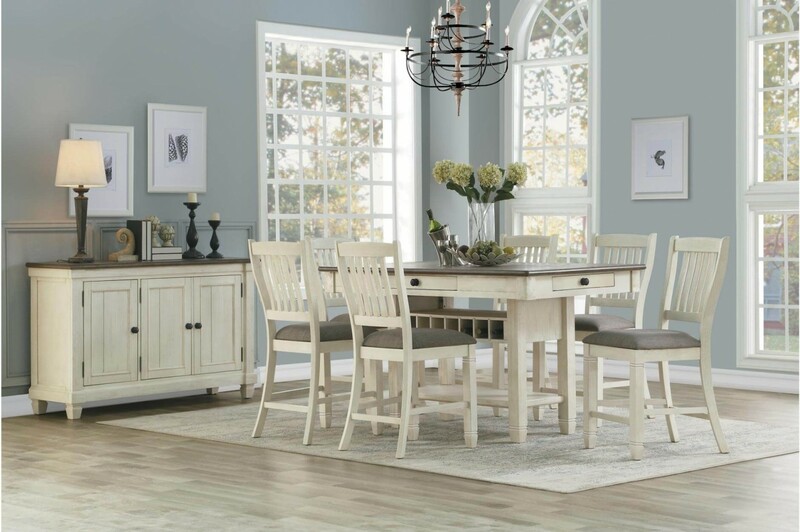 W60" x D39.75" x H36"
W19" x D23.5" x H42.25"
W57.75" x D18" x H36"
Inspired by the aesthetic of a casual country kitchen, the Granby Collection is an inviting gathering spot for mealtime with family and friends. 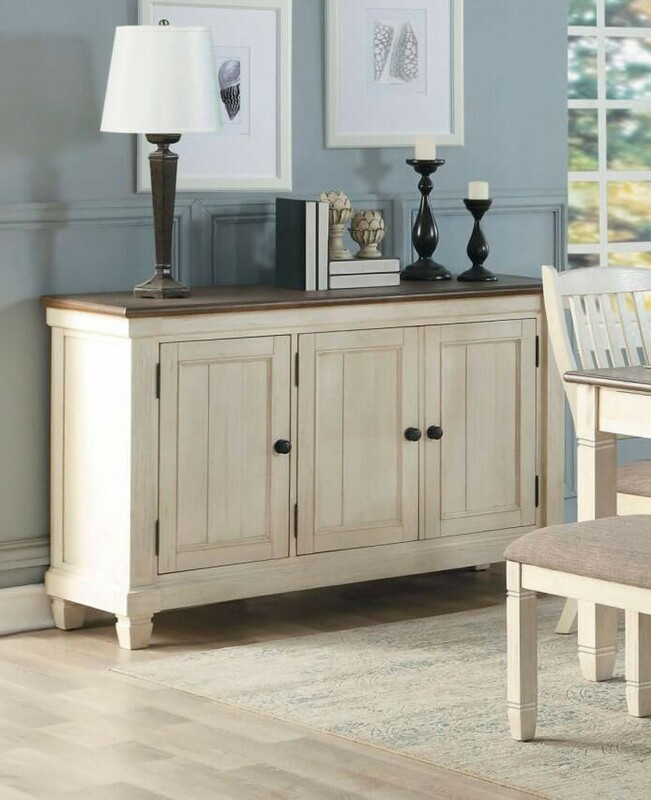 The collection is offered in two table configurations – one, a traditional 72-inch dining height leg table with 6 drawers located on the ends and sides of the apron; the second, a 36-inch counter height with 4 drawers on the apron and storage display shelf base. 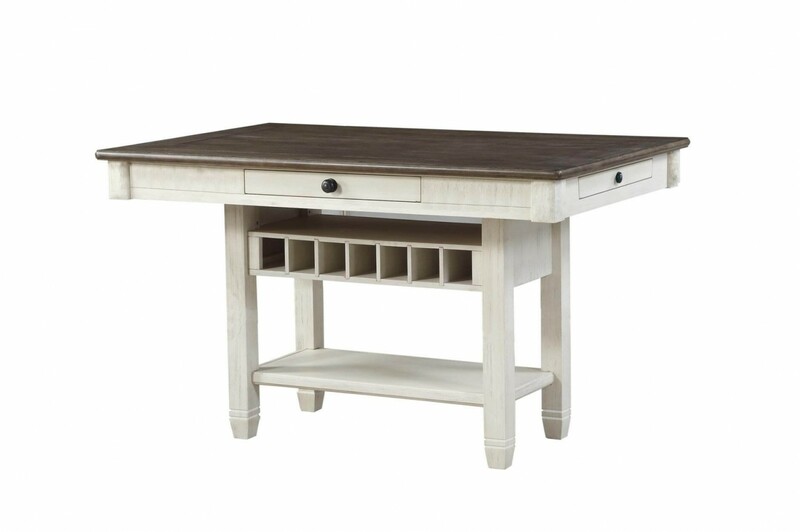 The two-tone look of the acacia and pine solids base, finished in antique white, and the elm veneer of the table’s top, finished in a rosy brown, present as a harmonious combination of color. 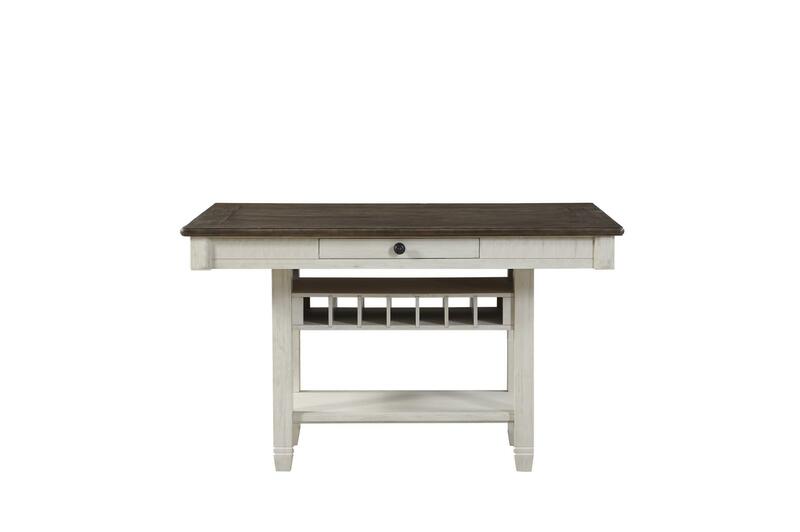 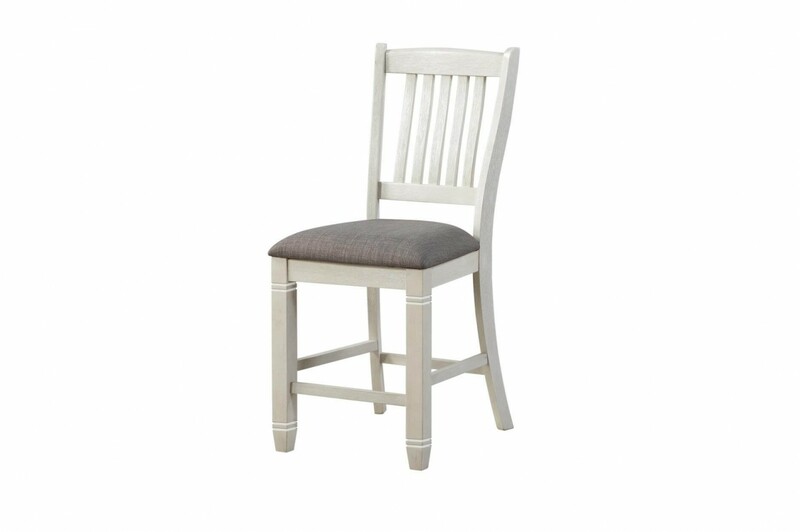 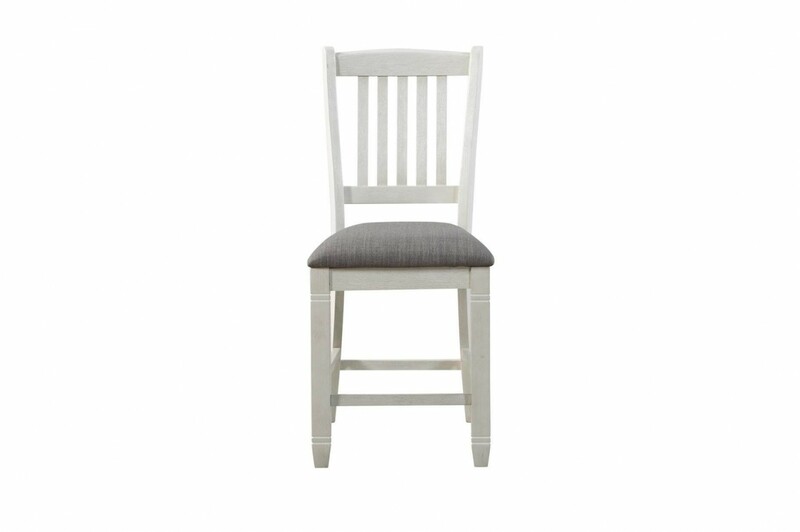 Also available for the table – stool and server.